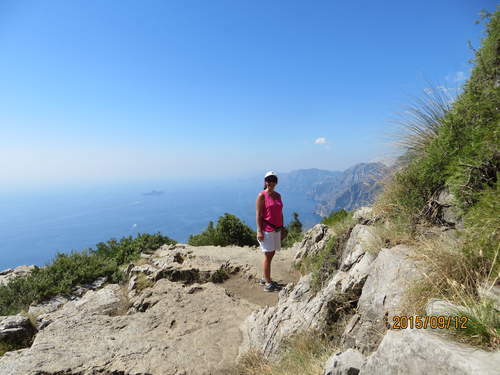 11.5 weeks post Mitral Valve Repari (minimally invasive) I was able to hike 6+ miles on the Path of Gods in Italy! We literally walked 1000's of stairs and it felt so good to be able to do it! Jacqueline Cook Congratulations Susan! That's awesome! Alma Mater Wow, that's inspiring! Congratulations! I was wondering if anyone has kayaked after their mitral valve repair and how soon after the surgery was it safe? My cardio rehab people don't seem to have an answer for me if it is safe. I had the minimally invasive MVR through the right side. Thank you! Daniel Spurgeon I don't know how it translates to kayaking, but I was released to bicycling in the mountains six weeks after my valve sparing aortic root replacement. You can see my older posts and photos in my journal. What a difference two weeks can make! I have very little pain- occassionally it feels like my heart is lurching and I get a burning sensation similar to when they removed the pacemaker wires. I am walking 3-5 miles a day (if its not too muggy). Still very tired at night and not sleeping more than 3 hours at a time but I think thats from the Lasix. I don't see my doctor until next week so still not driving. I want to do cardiac rehab- How soon can that be started? Thankful to have those first few weeks behind me! Thank you everyone for sharing your stories- It's the real accounts that help! 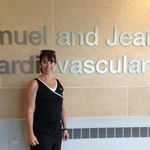 Donna Gavin I had a mitral valve repair and started cardiac rehab this week, though I could have started 2 weeks sooner Ask your nurse or doctor when you can start.. I'd ask to be taken off of the Lasix. I was on it for 10 days post op. They put me back on it when I had an efflusion, but then took me off after 5 days. Tammy Pilcher Congratulations, Susan, on a great recovery! God bless! Paul Rose Congratulations on your recovery progress. You're doing really well walking that far only a months after surgery, no wonder you are tired at night 😀. During my recovery from MV Repair (3years ago) I found it hard to be patient and not push too hard - but slow and steady wins the race. My Cardio Rehab started about 12 weeks after surgery and the biggest problem they had was slowing me down (I compete at just about anything😖) I had not understood the extent that your heart muscle was remodelling as your heart shrinks back to normal size as it gets more efficient again, pushing too hard does not help the process. if you're concerned about the HR lurching please talk to your Doctor. mine did something similar. In hindsight, It felt as if my heart was learning how to work in its new shape and with a valve that functioned without regurg! Over time the lurching has dissapeared and the Rythm has become strong. Susan Wozniak Thanks Paul. That makes total sense the way you explained the heart trying to get back to notmal. I am trying to be patient. Will get checked out for the first time since leaving the hospital next week. I take my Lasix in the am. Have a great day! Today has been a full week and I have minimal pain which is manageable with my pain relief which I'm taking about four times a day. My incision was very small underneath the right breast and Don seems to be recovering nicely and probably hardly be noticeable. It is still numb so I am sure that helps with my pain too. The worst part I'm finding is the water weight gain and the water retention just makes you stiff and hard to move or lay down flat. I've been able to walk about 6 houses away three times a day go up and down our stairs several times a day. I still get a little short of breath but very manageable. Not much appetite just very thirsty all of the time. I did appear to get some sort of eye problem in the hospital where there's a glazing that keeps forming over my eyes so I can't read right now that's a little tiny problem and it's not pinkeye so that's a good thing! Very low ability to concentrate right now and type so sorry for any miss typings! One mother did mention she wished she would've told her kids how scary she would look when she came out of the surgery and I tried to convey that to my children but I don't think I did a good enough job about that. One of my daughters ended up passing out when she saw me which did give a little more excitement to the event. My procedure was for a Barlow Mitral Valve repair and I think he said I was on the bypass machine for over an hour and a half. Not sure but do feel like the things coming out of my mouth are coming from another brain! 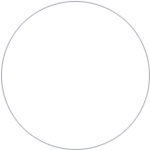 That fog and the auras people talk about are there. Not sure if its my pain drugs but have had some happy dreams! Will quit rambling! Hope everyone is doing well. Hard for me to follow and read! Happy 1 week!!! Tammy Pilcher Prayers and best wishes, Susan, for your recovery. Take one day at a time and don't over do it. You'll probably feel a little better each day. God bless you! Bob M Great recovery! Take it easy heart sister! Amen! Surgery success going home today! Will write more details when I can think again! Thank God for the medical marvels. Hope everyone is doing well! Lora Lee Peterson I'm so happy for you, Susan! Larry Fuller Go Susan- however good you are feeling will be double that in 48 hours of being home-OUT of the hospital where 'hospital brain' set in. Wonderful! I am having minimally invasive mitral valve surgery on July 14. I am anxious to hear of your experience. Take care of yourself and rest. Robyn Tatu Way to go, Susan! I'm sure once your home things will look even better. Take it easy. Tammy Pilcher Great news! God bless you! Awesome! So glad you are going home. God Bless You as you recover. Gerald Schaffer Congrats, that's great news. Kelly Weisgarber Good news! Awesome. Bob M God bless! Take it easy heart sister! I pray your recovery will continue to be uneventful. Thank you everyone-This website has been such a help to me. There is so much helpful information. I especially appreciate the candidness of many of the post- both positive and negative. Its always best to have knowledge. Will let you know how it went in a few days. The best to everyone else scheduled!! Good luck to you. Prayers for strong recovery and peaceful rest. Tammy Pilcher Prayers and best wishes, Susan! God bless you! Kelly Weisgarber Good luck Susan! Surgery will probably be postponed. Thank you for your prayers. Unfortunately, I was exposed to strep at work and tested positive today. Very upset since everything and everyone was set to go. Eddie Patton Man, that has to be tough. Getting geared up and your mind set only to have a delay. Good luck with the strep, although not heart surgery it still is no fun. Tammy Pilcher So sorry you have this setback, Susan. Prayers that this will be resolved soon and you can go forward with surgery. God bless you! Linda McHugh So sorry to hear this. I was so upset to have my appointment to meet my surgeon moved back a week, I can only imagine how you must feel now. Get well and strong for your new surgery date. Lora Lee Peterson I wouldn't be very happy about that either! Sorry for your disappointment. God is Good.... He will see you through this all. Cheryl Batzing Sorry or the postponement Susan. Prayers for a calm spirit! Kristine Bryan Although you cannot see it now, God does have a plan. I was cleared and ready for mitral replacement on 3/16, but started running a fever one day before surgery - a virus that ended up in bronchitis. I could not understand when I was so close. I did finally get my new valve on 4/7, and am now 8 weeks post-op...and getting stronger everyday! We don't always know "why" but stay strong and keep having faith. You will be well soon!! Michael Donohoe Praying for a quick outcome to this challenge. John Jones You are in my prayers. I finally met with my surgeon after all of the weeks of testing. He determined I am having a barlow mitral valve repair and he is going to go through my ribs vs. sternum. He said the procedure should last around 5 hours. Its good to finally have some information. Unfortunately when you say it is minimally invasive people assume it means it's minor surgery. I am hoping it is easier than what I am anticipating. Trying to stay calm and get organized. Thank you all for sharing your experiences- It has helped me feel more informed. Tammy Pilcher Susan, I'm glad you have your date and plans made. You'll soon have your heart fixed and be able to help others here still waiting. Prayers and best wishes! God bless you! Wiliam Height You are right, minimally invasive is major surgery and more importantly it is an up and coming approach to repair the Mitral valve. The same techniques used conventionally can be used MIS with results at least as good with several clinical advantages, but the one critique has been on Barlows valve (which I had). Barlows disease remains a challenging surgical pathology and shouldn't be attempted in the early portion of the learning curve. I trust you have gotten 2nd opinion and done your research on your center and surgeon and that this is a high volume facility with documented /posted outcomes both short and long term. Everyone wants and would prefer a MIV procedure but the cosmetic must be achieved primarily on the heart, not on the skin. Undoubtedly, the success rate and durability of the MV repair should be the first priority in patients with MR. I wish you well! Susan Wozniak Thanks William. I am at University of Michigan. I hope I am in good hands. My surgeon also does heart transplants so I know he must be very good. I didn't care either way about the scar to me the outcome is most important. How long was your recovery? Wiliam Height Tough question as I try not to live in increments of horizontal spaces of time, such as in past, present, and future but more in a vertical plane that is the moment. With the annuloplasty rings I have been taking my time since 1/30 in recovery keeping my heart tranquil but giving it the excercise it needs. Overall I've felt back to normal the last month, the most painful part was not picking up my little one for 8-12 weeks. You're in good hands if your surgeon performed 3000-4000+ surgeries.